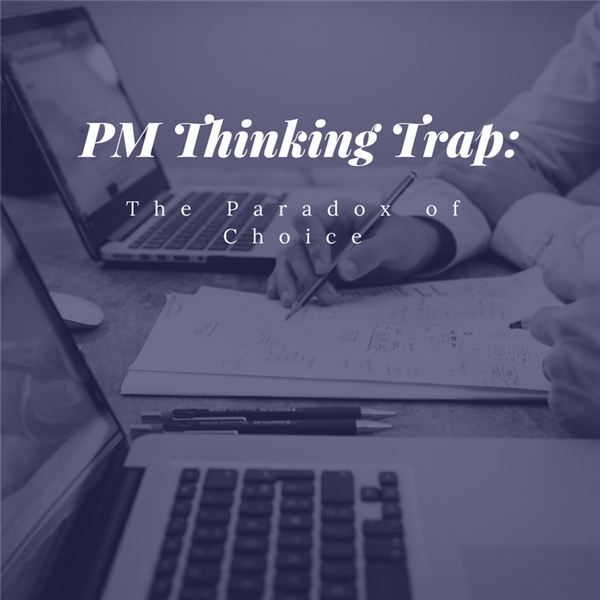 Having choices is both good and bad – and therein we find the challenge for a PM to differentiate between the two sides of choice and guide things forward accordingly. 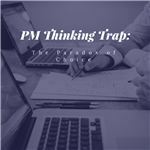 So how is it that a PM can manage the plethora of choices on a project and deal with the paradox of choice? We are bombarded with choices today. But is that good or bad? In his book "Paradox of Choice," Barry Schwartz outlines and experiment he performed to illustrate the paradox of choice. At a supermarket, a stand was set up with 24 varieties of jelly for sampling by customers. They could try as many as they liked, and then were given the opportunity to buy them at a discount. The following day the experiment was repeated, but there were just six jellies. Comparing the sales results of the two days, ten times as many jellies were sold on the day when there were six choices as when there were 24 choices. The conclusion of the experiment was that with such wide range of choices, customers had trouble deciding - and so they avoided it and bought nothing. There are many areas in a PM’s life where the paradox of choice applies. One example is in choosing project management software – or any other software or other product. There may involve many options, and often we revert to the well-known or the one with the greatest market share, or largest company behind it. This makes the decision easier, removes some of the pain of too many choices…and makes us comfortable should we need to defend our decision later. The way to handle the paradox of choice trap is to insist that people think carefully up front about what is wanted or needed before even looking at existing offers. Lay out the criteria and stick to it closely. Accept that you cannot make the perfect decision - but can make a good one. Keep in mind that "good enough" probably gets the job done sufficiently. Where might you be encountering the paradox of choice on your projects? A series of four articles on thinking traps and the ramifications for Project Managers. Each of these traps can jade our thinking, but understanding the potential trap can empower us to be more effective leaders and decision makers and have a more positive impact on our projects.